As the population in Kuala Lumpur grows, there will inevitably be higher demand for water and the increase in the number of people will also lead to more waste being generated. The need for improved sustainability has been highlighted by IBM and Siemens in their study on Kuala Lumpur's sustainability. There is currently a water impasse between the Selangor government and Syarikat Bekalan Air Selangor Sdn Bhd (Syabas) . Syabas supplies water to Kuala Lumpur, Selangor and Putrajaya. The Government will intervene so that consumers will not be burdened by water issues, says Commissioner of the National Water Services Commission (Span) Roger Tan. Span, approved by Parliament in June 2006, came into force on Feb 1, 2007, to promote efficient water services management. “Before 2005, the state government has authority over water issues. After some amendments to the law, the state government has juridiction only over raw water, which is untreated water while water companies focus on water treatment and supply,” Tan says. The second issue is wastage. It was highlighted about a couple of weeks ago that Malaysians use an average of 226 litres of water per person daily, which is way above Singaporeans (154 litres) and the Thais (90 litres). Low tariff has led to high consumption. The third issue is non revenue water caused by pipe leakages and tampered meters. About 20% of water supplied in Kuala Lumpur is lost either through the leaking pipes or tampered meters, Tan says. There is also a prediction that there will be a major water shortage issue by 2014, which will affect the people in the city. There is an urgent need to replace the leaking pipes to resolve the issue of water wastage. “We are working to solve these various issues so consumers do not become victims. At the same time, there is a need for them to conserve water,” he says. Tan, a board member of the Solid Waste and Public Cleansing Management Corporation, says the Government is also seriously looking into the issue of waste management. Waste management will be reviewed and improved as new laws are passed. Last week, technicalities delayed the enforcement of a law which will require consumers to separate their thrash. There are also various issues in waste management. “There are all sorts of contractors who are collecting different types of waste. The issue is the disposal and much of this rubbish end up in open dump sites which pollute the environment,” he says. Waste management can be lucrative. Recently, newly-listed Cypark Resources Bhd announced that it has grown from a small capitalised stock into a mid-sized one in less than five months. Group chief executive officer Daud Ahmad says investors are hopeful it will win more government contracts to manage non-sanitary landfills. Cypark is managing 16 non-sanitary landfills, of which one it has converted into a renewable energy park, capable of generating electricity for Tenaga Nasional Bhd. Daud says contractors should find a landfill far away from the population, rivers, unused mining ponds or the sea. “We were unaware that this will pollute the air and our water resources. Today, there are guidelines and waste management is taken more seriously,” says Daud. He says urbanites with a higher disposable income generate more waste of about 1kg per person daily compared with 600gm by a villager. According to Daud and Tan, the Government is looking seriously into the issue of waste management. Water resources is in many ways a commodity. The Dutch had fought a long and successful battle against water. They have been building dikes to reclaim land and prevent floods and erosion for more than 200 years. This has resulted in a wealth of expertise and experience in managing the flow, distribution and protection of its water resources. The Netherlands Foreign Investment Agency area director Linnie Mackenzie who is based in Singapore says “there is no one sustainable waste management solution. There are still conflicting views as to the most practical, environmentally beneficial and effective means of achieving sustainable waste management. Mackenzie says there are several significant water quality problems that affect South-East Asia. Of these, contamination of drinking-water sources by pathogenic (disease-causing) microorganisms remains the most important. 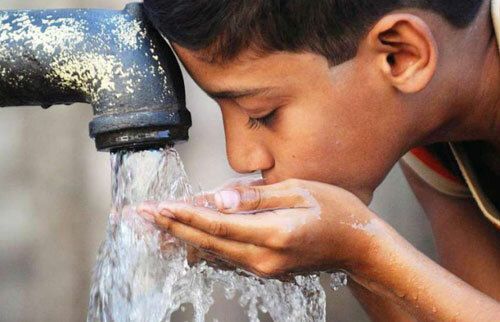 Some countries in the South-East Asia are affected by chemical contaminants such as arsenic and fluoride in ground water, as well as contamination from industries and the agriculture sector. Thank You Mr Roger Tan for ur info. I'm very interested to hear ur opinion about the water impasse between SYABAS and Selangor Govt. SYABAS or PNSB is the business entity where as Selangor is political platform. The tariff issue is the legacy problem since Khir's administration. Then, the agreement already made and it's comply with the law. But then, TS Khalid want the issue must be solved thru political game. It's because he has to potray the good image on PR as well as he himself. So, both entities have their interests and must be respected by themselves. Unfortunately, PKR take every single opportunities to damage SYABAS/PNSB and also TS Rozali Ismail's credibility. Even, the best effort made by the staff (Tabung Budi) had painted with the negative ways. So, how come this vital issues will be solved if Khalid play the wrong approach? In what angle that you saw TS Rozali perform his duty very well? Water disputes issue mesti diselesaikan before next GE specifically between Selangor and SYABAS. I hope the Selangor govt take the wise decision. All the disputes should be discussed on the negotiation table. There is no way to settle on the road and political debate/talk etc.